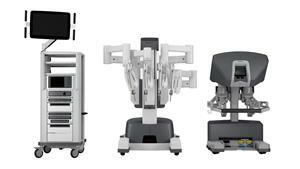 Intuitive Surgical has secured CE mark approval for its new da Vinci X robotic-assisted surgical system. The da Vinci X system is said to provide surgeons and hospitals with access to the firm’s portfolio of advanced robotic-assisted surgical technologies and full ecosystem of programs, support, services, and solutions. Intuitive has developed da Vinci surgical systems to enable surgeons for carrying out minimally invasive surgery. Featuring advanced capabilities, the new system also includes the same vision cart and surgeon consoles that are common in the da Vinci Xi system. The new system, which allows optimized and focused-quadrant surgery, features flexible port placement and advanced 3D digital optics. It also integrates latest advanced instruments and accessories similar to the firm’s flagship system. The system takes the support of set-up technology that uses voice and laser guidance and drape design to simplify surgery preparation. Intuitive Surgical CEO Dr Gary Guthart said: “Over the past 21 years, Intuitive Surgical pioneered robotic-assisted surgery and we continue to lead the way in developing and bringing to market innovative technologies, outcomes-focused products and value-oriented solutions. Image: Intuitive Surgical’s da Vinci X surgical system. Photo: courtesy of Intuitive Surgical, Inc.